Sharjah Oasis Real Estate is a highly ambitious company with a universal vision, led by a team of passionate professionals who are ready to challenge the status-quo and conventional ways to achieve significant advancements in economic, social and environmental development within the Real Estate economy.Sharjah Oasis Real estate is a UAE based corporation, with impeccable real estate development credentials. 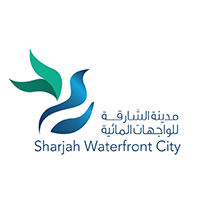 The company has demonstrated a series of success stories, starting with the launch of its iconic Sharjah Waterfront City project. A pioneering and reputable company, Sharjah Oasis Real Estate is determined to continue to revolutionize the industry. Furthermore, the company is set to evolve through a diversified business portfolio, refusing always to compromise on quality or values, thus ensuring to provide a Utopian lifestyle to provide heavenly living that its stakeholders envision. Building on innovation that will inspire generations to come, Sharjah Oasis Real Estate is creating a world-class destination for living, business and tourism.